Buckwheat Flour in a bulk 50 pound bag. 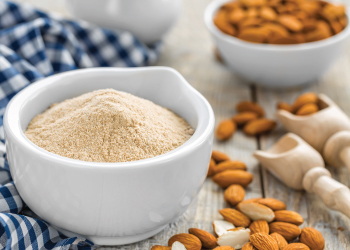 Honeyville's Buckwheat Flour has a robust, nutlike flavor that mixes well with hearty foods. 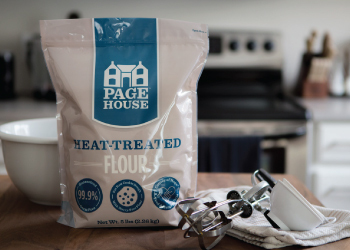 This flour can be mixed with wheat flours for use in baking and bread-making. It is also baked into crumpets, which are popular among Dutch children and are said to be nutritious and easily digested. Buckwheat is the best source of high quality, easily absorbed protein among the plant kingdom. Honeyville Buckwheat Flour is an ideal product for your baking needs. Shelf-Life: Buckwheat Flour will store for 1 year in a sealed 50 pound bag under ideal storage conditions (cool, dry place). Uses: Buckwheat Flour is used in baking to make breads, pancakes, crumpets, rolls and more. Visit our blog In the Kitchen with Honeyville to find delicious recipes for Buckwheat Flour and more! Packaging: Buckwheat Flour in bulk is available in a 50 pound bag. Packaging may vary.